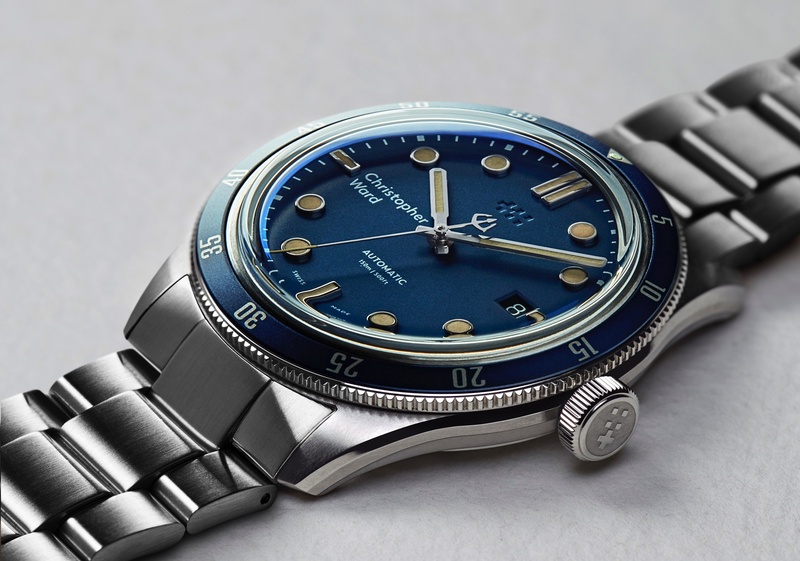 British watch brand, Christopher Ward, launched a new retro-style dive watch this month, with 1960s design cues and a price that won’t break the bank. 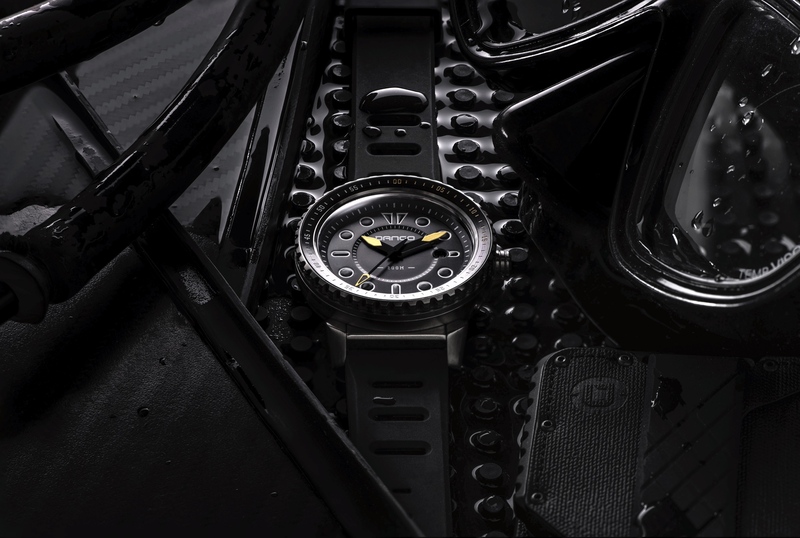 The stainless steel case of the C65 Trident Diver Automatic measures 41 mm x 11.55 mm x 47.1 mm (22 mm lug width) and is topped with a unidirectional steel bezel and a colored aluminum insert (blue or black) matched to the dial. The dial is protected by a box-shaped domed sapphire crystal. Most of the case is brushed, with minimal polished accents. The dial has a matte finish, with prominent applied indices, baton-shaped hour and minute hands, and readability is excellent. The central seconds hand counterbalance is trident-shaped and so is the large embossed motif in the middle of the solid steel caseback. 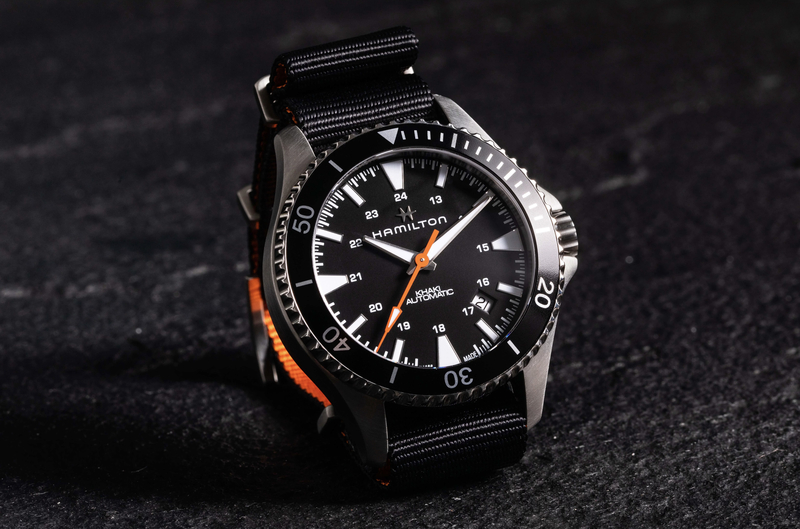 The water-resistance of the watch is 150 meters, which is 50 meters more than the basic standards set by the IS06425 dive watch standards, and it complies with the other requirements such as being highly legible and having a timing control. However, one oddity is the lack of a screw-down crown. Christopher Ward instead went with a push-in crown, which will suffice but it’s not what you typically see on a dive watch. A locking crown makes it very hard to open the watch for water to enter the case underwater, whereas a non-locking crown increases the chance of an error such as opening underwater. It was likely a cost-cutting measure, and probably will not actually cause a problem in real life, but the peace of mind of a locking crown is something I personally prefer not to sacrifice, especially in a dive watch. Time and date functions are powered by a Sellita caliber SW200-1 automatic, which beats at 4Hz, has 38-hours of power reserve, 26 jewels, and has been decorated with Christopher Ward’s Colimaçoné pattern. On the dial, the Christopher Ward motif is stamped (engraved), and on the crown the logo is raised (embossed). Interestingly, the indices and hands use “Old Radium SuperLumiNova®” which is a vintage style lume. The Christopher Ward C65 Trident Diver Automatic comes in two colors, with either a black or light brown leather strap for $795, or a stainless steel bracelet for $865. 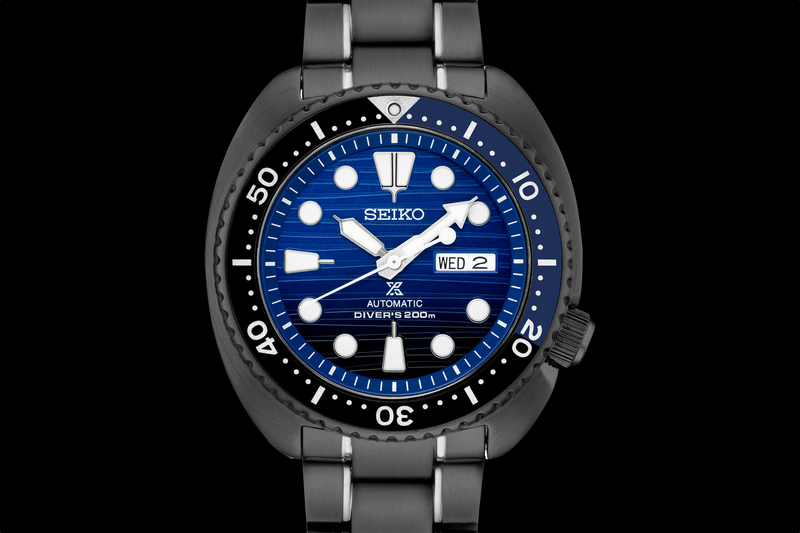 There is also a third option, a natural rubber strap (which is softer and more premium than synthetic rubber), which costs the same as the leather strap at $795. Learn more at Christopher Ward. Previous articleStyleIs that a George Daniels on your wrist?